From the early days of the dot-com boom, to transforming a storied creative agency into a modern creative workshop churning out new ways for brands to connect in the post-advertising era, Eric Weisberg has spent more than 20 years driving creativity at the intersection of art and science. First with banners and Web 1.0, and now trailblazing ways to use apps, AR, VR, YouTube and Alexa, Weisberg has inspired new uses of digital, technology and mobile time and again, working across both pure-play digital shops and global network agencies to define and redefine the future of how brands and consumers connect. Most recently, Weisberg relocated from Madison Ave (after 20 years in NYC) because he saw an opportunity to bring his unique story-starting approach to Detroit-based Doner, "an underestimated giant" in the industry that combines digital, creative and production muscle for world-renowned brands like FCA, Netflix, Nestle, Coca-Cola, McDonalds, Huawei and the UPS Store. At JWT previously, Weisberg rose to Global ECD, responsible for creating the agency’s first integrated creative group blending expertise in traditional, digital and CRM, and guiding his 50-person team to win every major international award. Weisberg has held positions at K2 Digital, Leo Burnett, and Saatchi & Saatchi, where he pushed the boundaries of digital creativity through his work with brands like Reebok, Allstate, Delta Airlines, General Mills, MillerCoors, MCI Worldcom, Morgan Stanley, etc. A recognized digital thought leader, Weisberg has judged Cyber at Cannes, Digital at the Clios, IAB MiXX, New York Festivals and more, and has spoken at Creative Week, SXSW, Mobile World Congress, SMW and others. 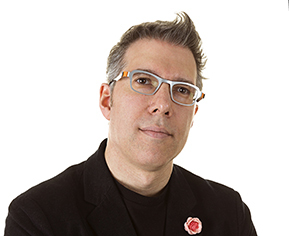 Weisberg also helped create the digital curriculum at SVA in New York, and he has sat on the IAB Digital Advertising Advisory Board for nearly five years helping craft the next generation of rich media and adaptive ad units.